The Center for Credentialing & Education (CCE) has released its strategy for moving from the DCC (Distance Credentialed Counselor) certification to the BC-TMH (Board Certified Telemental Health Provider) credential. The CCE has been long known as an affiliate of the National Board of Certified Counselors (NBCC). However, it has expanded and is clearly now an organization focused on a wider variety of training for various professional groups (including counselors as its foundation). It offers a variety of certification opportunities for people across a range of interrelated professionals. The move from DCC to the BC-TMH signifies an important shift. Removing the word “counselor” from the credentials indicates to many mental health services providers that this credential is for them too. My friend and colleague, Ray Barrett of the Telehealth Certification Institute (TCI), would probably never say it about himself, but I am proud to say that he is the nation’s leading trainer on the topic of telemental health. As more states eventually come on board with regulations of telemental health practice, those who have obtained training and recognized credentialing in this area of practice will be on trend with the direction of the profession. and all of the HIPAA HITECH standards. I don’t encourage getting every credential under the sun. 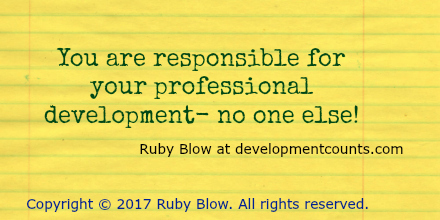 However, I do think it is important to consider credentials that advance your knowledge and expertise in areas of practice that are universal to the field. For me, distance counseling, tele-therapy or technology assisted practice including supervision & consultation is akin to culturally competent and ethical practice. It can’t hurt and it’s important to at least take training to learn more about what you don’t know and enhance what you do know. Who Can Obtain the BC-TMH? I want to share three different scenarios for those of us interested in the BC-TMH credential. People who completed the DCC training but didn’t obtain the distance credentialed counselor certification. People who obtained the DCC credential. People who may have completed part or none of the DCC training and want to obtain the BC-TMH credential. Life happens. Sometimes we don’t finish what we start for any variety of reasons. If you took the required training to obtain the DCC but didn’t complete the process for the credential, you can still apply for the BC-TMH credential. There is a $100.00 application fee. You must take the exam for the BC-TMH. The exam is free the first time you take it. This true for all applicants. If you fail the exam and have to take it again there will be a fee for the subsequent exam ($50). I think you have a time limit to complete this process: October 1, 2018. Please confirm with CCE. If you are a current DCC in good standing, the CCE allows a path to transfer to the BC-TMH credential. However, there are a few steps. Download, complete and return the DCC Transition Form. You should have received one via email. If you didn’t receive one, I suggest you contact the CCE. Next, you must create a log in via their CCE Global Learning Management System. After your DCC transition form is processed, you will be given coupon codes to complete 2 learning modules in their CCE Global LMS for free. Next, complete the two required modules: #3 HIPAA Compliance for Telemental Health and #5 Best Practices in Video Telemental Health. Upon completion of modules 3 and 5, download your certificates and send them to to CCE. It’s my understanding that DCC holders do not have to take the exam. You have until October 1, 2018 to complete this process. After then, you have to re-take all training and pay all fees. 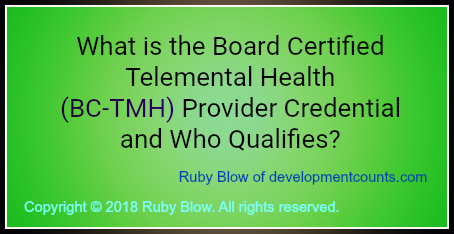 Follow this link to view the requirements for becoming a Board Certified Telemental Health Provider (BC-TMH): cce-global.org/Credentialing/BCTMH/Requirements. It is my understanding that, outside of the learning modules ($50 per module) in the CCE’s learning management system for the BC-TMH, the only qualified provider for the BC-TMH is the Telehealth Certification Institute (TCI). TCI offers live events as well as online training options. The cost is about the same to register for the CCE’s training modules all at once as is the cost for TCI’s events. 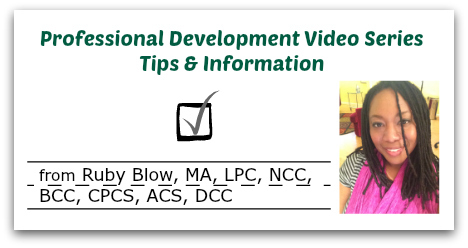 However, what you should consider is how you learn best, as well as any limitations of live or online continuing education hours supported by your licensing board. If you are a counselor and have the baseline Nationally Certified Counselor credential (NCC) then you can always use online CE’s toward your 100 hours for certification renewal (every 5 years). Ray Barrett of TCI logs a lot of miles training across the country. Learn more at telementalhealthtraining.com/certifications/telemental-health-training. I host Ray annually in Atlanta, GA. Our next event is on May 4th, 2018 (live in person) and May 5th, 2018 (1/2 day via live webinar). Register using the discount coupon I provide for those who attend the Atlanta event hosted by Development Counts.